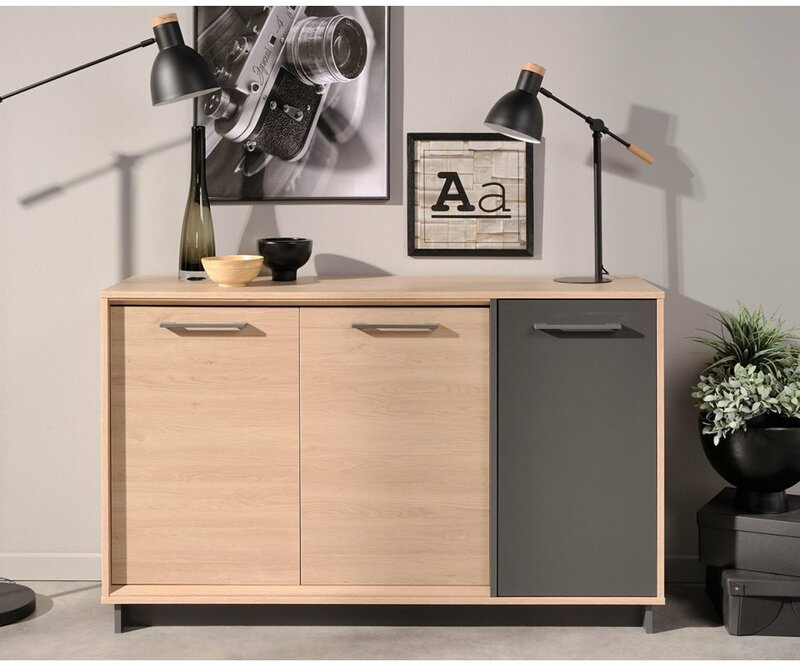 SIMPLY ELEGANT DESIGN: Simple, sophisticated lines and neutral colors are the contemporary features that allow this sideboard to coordinate with most home décor styles and color schemes. TWO-TONE COLOR: Light, natural Brooklyn Oak woodgrain and contrasting Dark Gray veneer are used in a unique way, with two cabinet doors in Oak and one in Gray! 2 CLOSED CABINETS: A 2-door cabinet opens in the center to reveal shelves for storing china, glasses, and serving pieces. 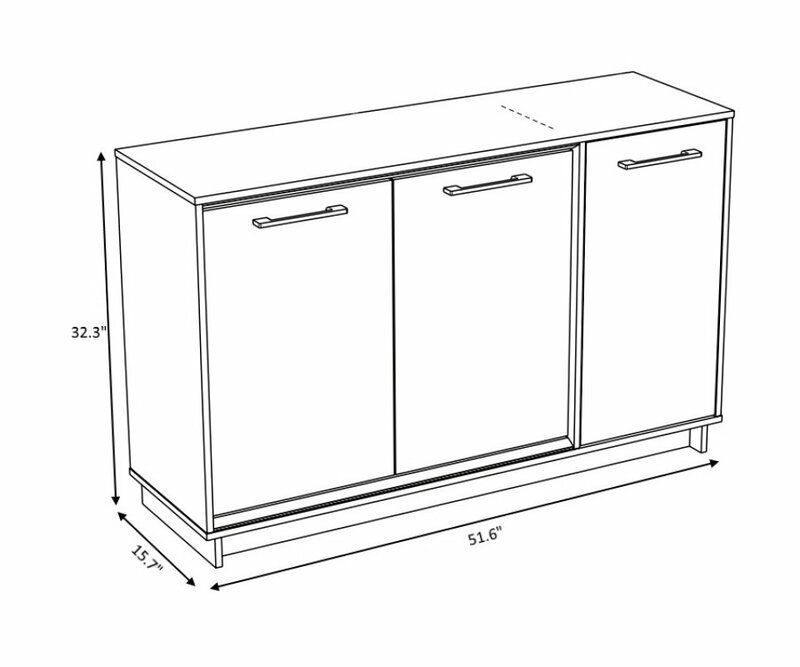 A 1-door cabinet also has shelf space for separate items. 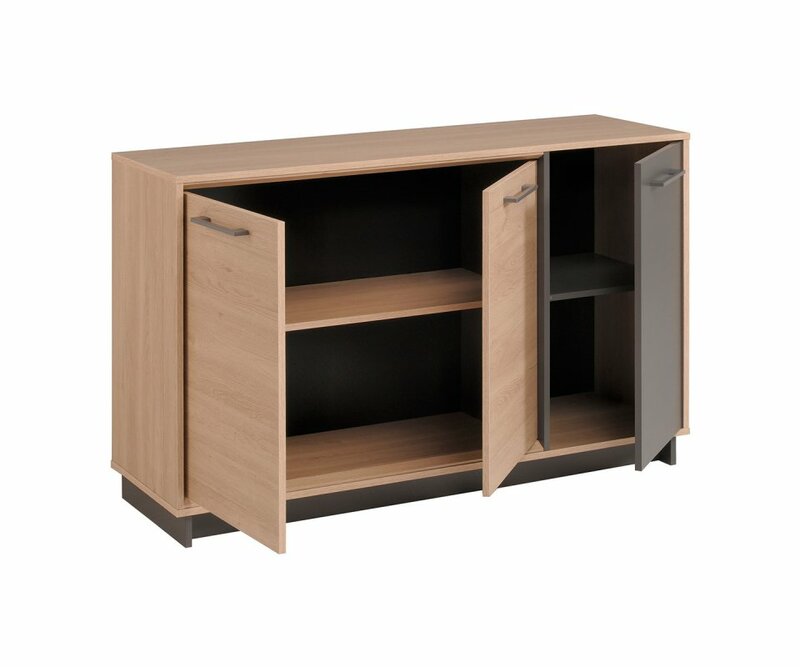 DURABLE VENEER FINISH: The premium veneers used in this cabinet are designed with stand up to regular use, and resist scratches, stains, water ring damage, and fading from UV rays. 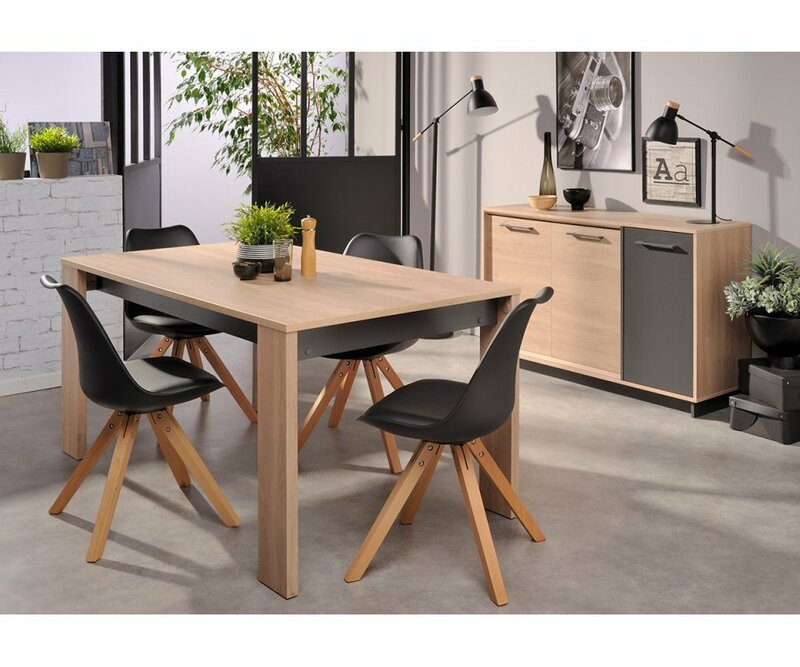 PARISOT QUALITY: Parisot of France has made fine furniture for modern families for over 80 years, and is committed to eco-friendly manufacturing, winning them the Green Way award! The simple, elegant lines, combined with the natural look of wood and stone veneers, give you a sideboard that can coordinate with most other home furnishings and color schemes. 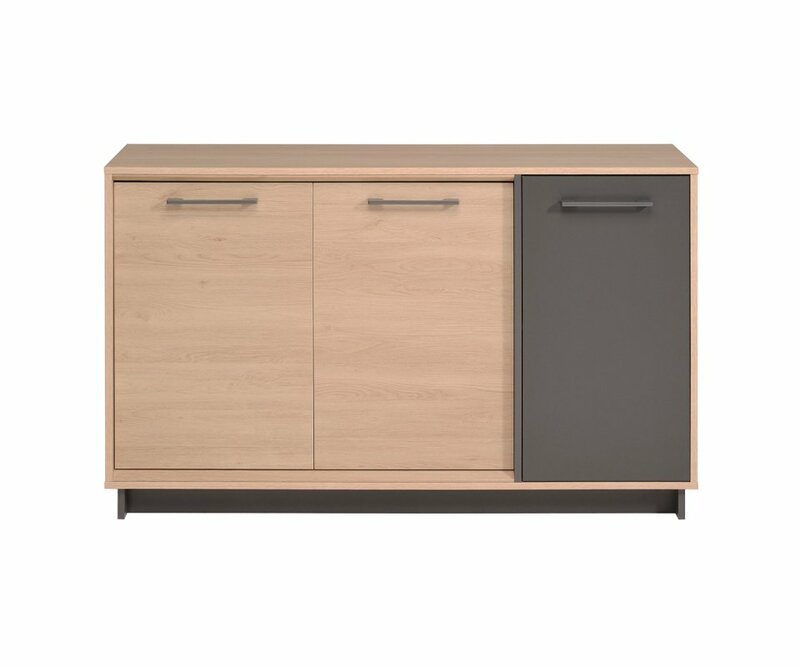 This sideboard has lots of roomy storage shelves, with a centrally opening 2-door cabinet and a separate 1-door cabinet. Two doors have been finished in Oak and the other in Dark Gray, adding interest and contrast to the style, with dark gray metal handles on all three doors. The veneer finishes used in this sideboard are designed to stay beautiful and lustrous, while resisting scratches, stains and fading! 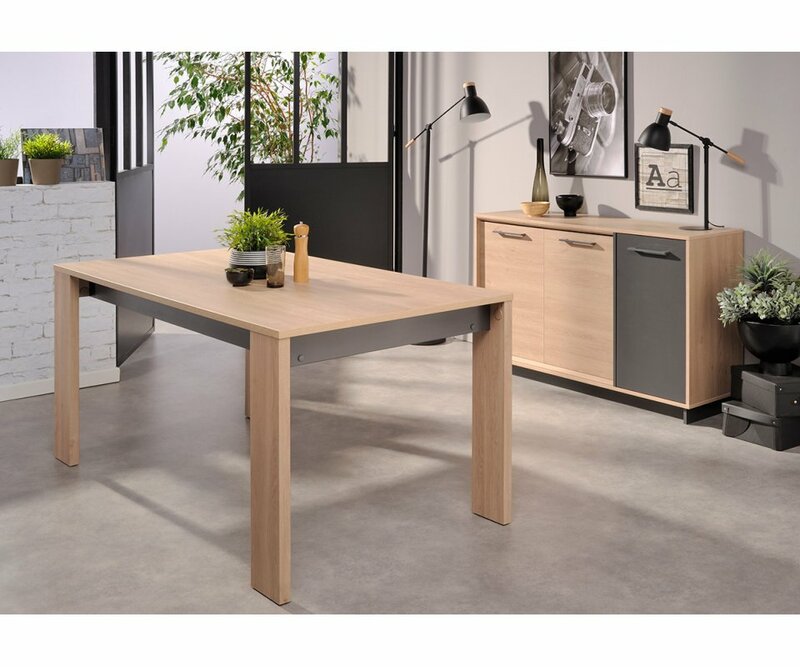 Parisot of France has over 80 years’ experience keeping in touch with the furniture needs of modern families, and has won a Green Way award for eco-friendly practices that makes them a leader in manufacturing today! 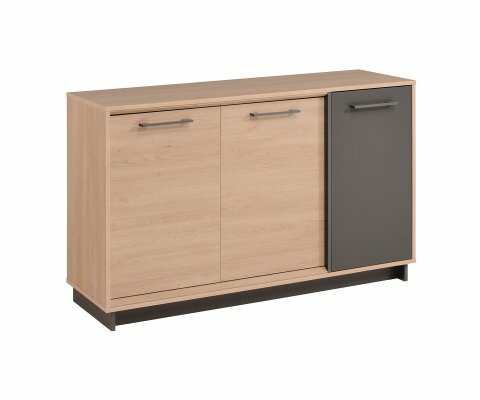 CONTEMPORARY DESIGN: Create a cupboard for your dishes or even a home bar with the versatile, contemporary design of this cabinet.TWO-TONE COLOR: With the appeal of wood and stone, this cabinet combines Brooklyn Oak veneer with solid Dark Gray veneer, creating dramatic contrast and natural elegance..